Wound measures 2" x 2.5"
Sometimes you absolutely need to be a zombie. When it’s Halloween and you’re dressing as a zombie, for example. That’s an easy one. Then there’s the Zombie Pub Crawl. But what about the time when zombies inevitably overrun Earth and you’re gathered with your closest friends and/or family members and you need to get to a defensible location. Say, the pub across town or, well, anywhere but here. But there’s a horde of undead out there, wandering aimlessly, all in your way. Your only hope is to disguise yourself as a zombie and move through them. And for that, you need some kind of makeup kit. 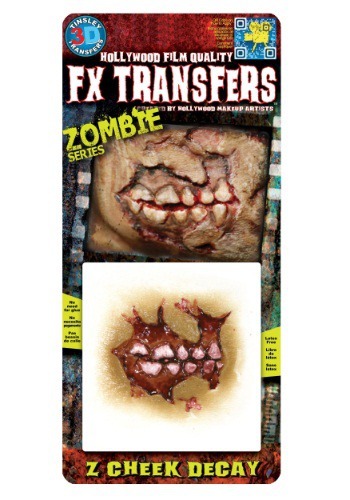 This Zombie Cheek Decay Temporary 3-D Tattoo Kit will do the trick. It includes a film-quality makeup transfer for a highly realistic look, just like the professionals in Hollywood get. And you don’t need any special adhesive, either, only water. The kit includes instructions for both application and removal. 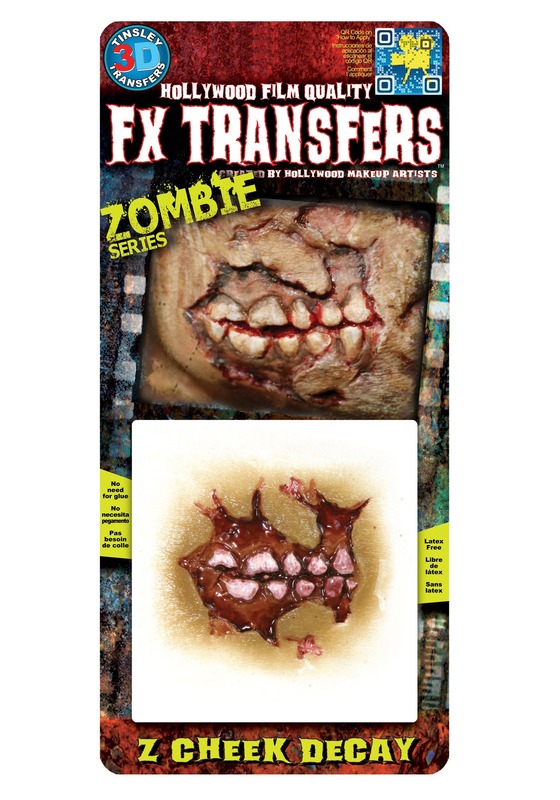 So you can be that zombie when you need to, but you can stop being a zombie just as easily. Which is a good thing.